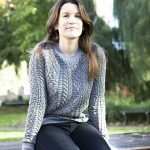 Ego-Media’s Professor Clare Brant, and Dr Polly North have curated a major multi-media exhibition that celebrates diaries and the many ways in which diarists capture human experience. 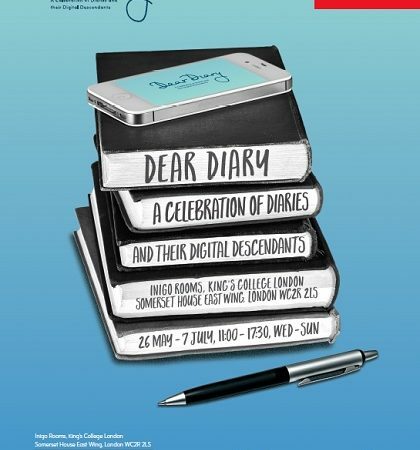 ‘Dear Diary: A Celebration of Diaries and their Digital Descendants‘ considers how diaries stage important issues for the individual and society, including those of identity, intimacy, privacy, secrecy, therapy, self-expression, self-improvement, memory and witnessing. The exhibition is taking place in the Inigo Rooms, Somerset House East Wing at King’s College London, and runs from 26 May to 7 July 2017. Additional information about the exhibition and the associated Diaryfest event being convened on 30 May 2017 is available here. In association with the exhibition, Ego-Media colleagues are also inviting attendees and participants in ‘Dear Diary‘ to contribute to DiaryBox, which explores the relationship between online activity and diary keeping. Click here for information about how to get involved.